René González, one of the five anti-terrorist Cuban fighters unfairly given harsh prison sentences in the United States, arrived to Cuba on Friday on a family, private visit in the wake of authorization by a US judge to visit his gravely ill brother. According to information released by the TV news program, René arrived minutes after midday. On February 24, René had filed through his lawyer an emergency motion before the South Florida District Court, requesting an authorization to visit his brother, seriously ill in Cuba. 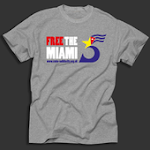 Nearly a month later, on March 19, Judge Joan Lenard, who have been handling the case of The Cuban Five since the start of their proceedings, authorized the trip for 15 days under certain conditions, including obtaining all US government travel permits needed. She also set as a prerequisite failing a detailed travel schedule, his location in Cuba and information of contact in the country, as well as a systematic phone contact with his probation officer. The judge also made clear that all conditions of Rene’s supervised release remain unchanged and he has to go back to the United States as soon as the two weeks pass from the date of his trip. After having suffered 13 years of unfair prison, René is under a supervised release regime for another three years during which he has to remain in the United States, which constitutes an additional sanction. The decision of authorizing his trip is fully in line with conditions established for his supervised release, which allow him to travel to Cuba after an approval by the probation officer or the judge. Even the US Government, which has opposed all motions filed by René to be allowed a permanent return to Cuba and his temporary visit to his brother, admitted that conditions of his supervised release do not prevent him from visiting our country. In the motion filed by his lawyer, Rene said he would comply with the terms established for the visit and return to the United States. Despite the terms imposed, our people, with deep respect, welcomes home our beloved René, and do not stop fighting for his final, permanent return home along with his four close brothers, says the press release. 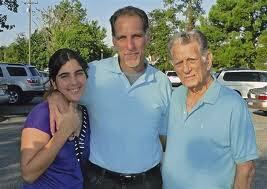 René González, along with his comrades Gerardo Hernández, Ramón Labañino, Antonio Guerrero and Fernando González, was detained in 1998 in the United States for monitoring Miami-based violent groups operating against Cuba. Cuban Foreign Minister Bruno Rodriguez Parrilla met with Haitian President Michel Martelly and members of his cabinet in Port-au-Prince last week. According to Radio Havana, the Cuban diplomat announced that Cuba will continue assisting the neighbouring nation. This assistance includes building three new hospitals in Haiti and increasing the number of scholarships for Haitian medical students, said Haitian Foreign Minister Laurent Lamothe. “We had a very positive meeting,” Lamothe told reporters after participating in the meeting at the National Palace in the Haitian capital. Lamothe added that Martelly and Rodriguez discussed the implementation of a reforestation project and a literacy program that could benefit nearly five million Haitians. 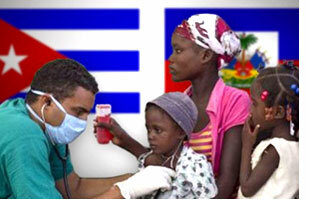 Cuban health professionals have been working in Haiti since 1998, but this assistance increased after the devastating earthquake of January 2010 and the cholera epidemic that followed. In November 2011, President Martelly made his first official visit to Cuba, where he met with his counterpart Raul Castro and with the leader of the Cuban Revolution, Fidel Castro. Every year, the Cuba Solidarity Campaign organises a full program of study tours and brigades to Cuba. Each focus on specific areas including history, health, education, environmentalism and offer an insight into Cuban life which package holidays can’t provide. Highlights this year include the Footsteps of Che study tour, Education and Community Study Tour and Summer and Winter Solidarity Brigades. The article below is written by Kate Clark who recently came on CSC’s Media Study tour, with all meetings and visits organised by the Cuba Solidarity Campaign. If you’d like more information about study tours, or would like to book, please get in touch. Many on the left are interested in recent changes to Cuba’s economic and social life. Some who are not on the left see them as the beginning of the end, as an inevitable turn towards capitalism, which they regard as the best system. Socialists who have given unwavering support to Cuba’s Revolution ever since 1959 are concerned that opening the door, even a little, to free enterprise will mean the Revolution suffering the same fate as the Russian Revolution, which ended in the demise of the world’s first socialist state, the USSR. As a journalist who has witnessed both Chile’s thwarted attempt to improve the lives of the majority during its Popular Unity Government, 1970-73, and the entire era of perestroika and glasnost in the Soviet Union, under Mikhail Gorbachov, 1985-1991, I am interested in issues concerning the development of socialist society, especially in its later stages. For no Revolution can stay the same for ever: to think that is not dialectical and runs counter to all experience in history. I had seen Fidel in 1971 when he came to Chile, invited by that country’s socialist President, Dr Salvador Allende. I was living and working in Chile at the time, and travelled to my nearest big city, Concepción, to hear the revolutionary legend address a stadium full of Chileans. He was charismatic, dynamic, forceful – and though Chile’s revolution was far, far different from Cuba’s own, he was respectful of the Popular Unity experiment to try and achieve popular power through the ballot box and under the existing constitution. Listening to Fidel among the thousands in the stadium was an unforgettable experience. But that was forty years ago, and Fidel is now an old man. Most of his comrades-in-arms - like Che Guevara, Camilo Cienfuegos, Haydée Santamaria and Celia Sánchez - are dead. So what is today’s Cuba like? How fares the country 52 years after her historic Revolution? Having been an admirer and supporter from afar all these years, I finally decided to go and see for myself. I was part of a group which had high-level meetings with Party officials, the Cuban Women’s Federation, the Cuban trades unions (CTC ), the deputy editor of Granma newspaper, the head of Radio Havana, with members of a Committee for the Defence of the Revolution (CDR) in a Havana suburb and with directors of the Latin American School of Medicine, where students from all over Latin America (and a few from north America and even some countries in other continents) are trained - completely gratis - to become doctors. I also met people in the street and in shops, museums and along the popular Malecón – the promenade along Havana’s sea front. We found people open and friendly, with no qualms about telling us exactly how they felt about negative aspects of their society. As Yamila Pita Montes of the Cuban Communist Party’s International Department remarked: “If you’ve got three Cubans together, you’ll get sixteen different ideas!” And we did indeed talk with people ranging from one who couldn’t wait to be able to leave for Miami, where his sister lived, and who even told us that “Chilean dictator General Pinochet cannot have been as bad as the leaders we’ve got!” through informed and critical support for their system from many, to full-blown support for their Government from residents in a fairly rundown barrio of Havana, where we attended an open-air party with loud dance music and a few fiery speeches. Our chat with the above-mentioned man desperate to leave Cuba led to a fascinating discussion with six or seven of his colleagues who were nearby and overheard our initial exchanges. It was a microcosm of democracy, Cuban-style, with interruptions and raised voices, but good-natured and friendly overall. Some pointed out that not all that relatives who live in the USA say about their lives is true, that some claim fancy lifestyles over there but in fact work long hours in monotonous jobs, barely making ends meet. Others pointed out that Cuban education and healthcare are free, and of good quality, and that everybody has access to them in Cuba. Someone mentioned the Chilean students currently demanding free secondary and higher education in their country. “See? We’ve already got that here!” one of them declared. Some agreed that wages were not high enough for them to buy what they wanted, one person blaming the government, whilst another said it was up to each and every one to pull their weight and produce more. The tendency of some Cubans to think that everything abroad is better is redolent of the situation during the eighties in the USSR, where many professionals were convinced that their standard of living, education and healthcare were vastly inferior to those in the West. Soviet people who travelled abroad saw the trappings of an affluent society and would not normally see how working people lived, to be able to obtain a more accurate comparison with their own lives. Cubans, however, do know quite a lot about how people live in other countries. Many have relatives who left Cuba during the so-called “special period” - the tough years after the collapse of the Soviet Union, which had been Cuba’s main trading partner, when all trade and investment from the socialist countries suddenly came to an end and Cuba had to fend for herself economically. Others have worked abroad as doctors, health professionals, sports trainers, earthquake relief workers, etc. They know that the majority of ordinary people the world over do not live better than they do, but considerably worse, even though there may be affluent sectors in those countries who live very well. Cuban society is certainly changing, and one positive aspect of these changes is the extent to which people are familiar with the broad tenets of the new policies which were agreed at the 6th Congress of the Cuban Communist Party (PCC) in April 2011. Cuban President, Raúl Castro, told the April Congress: “Our own deficiencies are our own worst enemy!” It was true, he said, that the 50-year-long US-imposed blockade, which deprives Cuba of normal trading relations, continues to make life very difficult for Cuba. 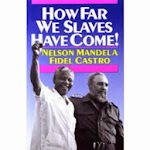 But progress had to come from within Cuba, he argued. “Most people here do support the Revolution,” Ms Pita Montes claimed. “You won’t find insults against our leaders in our mass media, but you will find plenty of criticism!” And perusing the Friday copy of the national daily Granma one can certainly find readers’ letters denouncing malpractices and corrupt officials, and editorials and features in that vein too. The question is, however, whether the airing of such criticism is merely a safety valve, or whether anything is likely to change as a result of such criticisms. We could see that the Friday edition of Granma quickly sold out on the streets of Havana, as it is clearly the most popular of the week. Back in the eighties during perestroika, and even earlier for that matter, there were always critical letters in the Soviet press too. But unless those in authority actually act to tackle the injustices or slow-timing of lazy or incompetent officials, critical letters in the press will not mean much. Which leads to the question of how to deal with incompetence, laziness, etc. in a socialist society, where people have been used to having a job for life, to not having to fear losing their job by being sacked for incompetence. Any socialist society needs to ponder these issues: how to give employees job security whilst at the same time retaining the right for incompetent officials and workers of all levels to be sacked. Especially so in a one-party state, where the public at large may find it difficult to get someone moved or sacked if that person is at the same time a high-up in the Party. It is not enough in any society for citizens to be able to air criticism, if everyone knows that nothing ever comes of the criticism. Those who thought Cuba should introduce multi-party democracy ignored the history of permanent aggression, economic blockade, interference and media siege that Cuba had faced from the USA, he said. But Party and state leaders would in future be limited to two five-year terms, he announced, adding that the measure would be implemented gradually without waiting for a reform to the constitution. Economic changes are being introduced in Cuba, and quite fast. Self-employed people are becoming commonplace (the Cubans call them “workers on their own account”). There are now self-employed “bici-taxistas” (tricycles that carry 2 passengers), taxi-drivers, hairdressers and barbers, restauranteurs (seating up to 50), garage mechanics, painters and decorators and many others. By last September (2011) almost 330,000 were self-employed, of whom 60,000 were women, 7% of whom had not been in work before, Ms Pita Montes told us. 51,000 of these new “workers on their own account” either are already working or have applied to work in agriculture. There are now 181 registered different kinds of self-employed trades. In the Soviet Union, where all parts of the economy had hitherto been state-run, cooperatives began to be allowed during the perestroika period. Articles were published in the Party press explaining how Lenin had favoured their existence in his article “On Cooperation”, written in 1923. The key here is the question of political power. As Lenin pointed out, cooperatives will be good for the development of socialism, as long as the means of production are owned by the working class, which holds political power. If the Soviet Communist Party had fomented the development of widespread small cooperatives producing some of the consumer goods the population actually wanted (instead of the poor-quality and unfashionable goods the state enterprises kept on producing, continuing in this way to “fulfil the plan”), this would not of itself have led to the large-scale privatisation of state natural resources and assets which happened in the nineties under Boris Yeltsin, and to the emergence of the Russian oligarchs. That privatisation happened because the CPSU ceded political power, not because a few small coops had been set up. If political power in Cuba remains in the hands of working people via their representatives in the Cuban Communist Party and other social organisations such as trades unions, Women’s Federation, the CDRs (Committees for the Defence of the Revolution) etc , there is no reason why the development of small coops responding to the wishes and needs of the population should not function successfully without turning into large-scale capitalist enterprises that would undermine the principles of a socialist society which, unlike capitalism, is not based on the exploitation of labour. It is true that the more enterprising of citizens who, say, set up a private restaurant and do very well out of it, may cause envy among others, and society will most likely become less equal. Tourism itself has already produced this sort of inequality, as those who earn the Cuban convertible currency owing to their work in tourism have access to goods that workers in other sectors of the economy do not. So one problem is the number of people, many of them young, who have got used to not working, among them the jineteros who plague foreign tourists asking for cucs – the hard currency used in Cuba alongside the national currency which local wages and salaries are paid in. The jineteros must be the most well-dressed and well-fed beggars anywhere in the world! They are not poor in the real sense of the word: they have free healthcare, free education, even including university education, and free milk for their children up to the age of 7, but in Cuba fashionable clothes and shoes, some imported food products, and the latest electronic hardware are only available in cucs. Why some young people prefer to hang around the capital’s hotels asking foreigners for cucs rather than working is a complex question; no state can provide exciting and stimulating jobs for absolutely everybody, and some, especially the less well-qualified, will prefer to give up a humdrum job on a relatively low wage to work the beaches and bars in search of gullible or willing foreigners with cucs. One young man we chatted to worked in a district court in the capital. We simply walked in off the street one evening, he was on reception, and we got talking. Though obviously in a fairly routine job, he was knowledgeable about the judicial processes that go on in his local court and talked enthusiastically about his life and hopes in Cuba. We also met inspiring young people rehearsing classical music and singing, others learning how to dance Spanish flamenco and young museum attendants who were keen to tell us about the paintings they were looking after. But we found that some young people, particularly in the capital, were quite consumerist in their attitudes, and clearly the Party is trying, with the new “workers on their own account” policies, to engage at least some of these into some sort of useful work, garnering their initiative and enthusiasm in that way. Carlos, a young man who has a “bici-taxi” charging clients around 10 cucs an hour, told us he was in his third year of studying to be a chef, so he earns extra that way in the evenings, to support his young son. It is not hard to realise that it will not be easy to get young people like those who have got used to not working, to move into the sector which the Party and Government have identified as crucial to the national economy – agriculture. To get people who are used to a relatively easy city life to move into the countryside to work as farmers would not be easy in any country, but in Cuba, where farm mechanisation is not widespread, it will be even more so. The Government is opening shops to sell farming tools and materials, and the system of credits to new and existing farmers is being introduced, but is still in its infancy. This explains why 20% of agricultural land is at present unproductive. Again, the US boycott is partly to blame, as it would be much cheaper for Cuba to import agricultural machinery, tools etc from its nearest neighbour – the US – than to have to import from Europe or circuitously via third countries. A small number of farmers own their own land, for historical reasons, such as a tobacco farmer we visited near Viñales, Benito Camejo. His family had owned vast tobacco-growing fields before the Revolution, he told us. “After the Revolution most of it was confiscated,” Benito said, “ but we were left 10 hectares, and we have continued to farm this land and produce the finest tobacco in the world!” he said with a laugh. Benito, a tall, slim man with a lined tanned face, lit up one of the cigars his little factory produces: “One of these a day will keep you in good health!” he exclaimed. Be that as it may, we could see that he and his family lived quite well. He has his own house, with several outbuildings. We saw a big pile of breeze blocks nearby ready for an extension he plans to build soon. He has the beautiful countryside of the mogotes, covered with lush vegetation, and the brilliant sun shining in clear blue skies most days of the year. He works together with his brother and their families, raising a few domestic animals, growing their own coffee, salads, fruit and vegetables. Benito has a contract to sell 90% of his cigar production to the state. The other 10% they can use for themselves or sell privately. It was now possible for Cuba to decentralise her economic model in these ways by making small trades independent of the state, we were told, due to the fact that the so-called Special Period during the 1990’s had ended. Cubans refer to that period as very hard, when they barely had enough to eat. Yet the people we talked to seemed to understand the need for that Special Period, as well as expressing relief that it was now over and that the economy was - to some extent at least - looking up. In addition to the promotion of the non-state sector, Cuba has also taken steps to make ministries more efficient. Sugar was traditionally Cuba’s main product, but now no longer. Tourism is much more profitable and not so labour-intensive, so Cuba is expanding that sector very rapidly. Big new hotels can be seen along the western seaboard of Havana, in Miramar and beyond. Most of the foreign tourists are from Canada, with the UK in second place, we were told. The Sugar Ministry has been abolished, replaced by an enterprise which has fewer employees than the old ministry. “We expect it to be more efficient since it is independent of the state,” Ms Pita Montes said. Whether an independent enterprise is likely to be more efficient than a ministry running an industry is an issue worth thinking about. In Britain, the Coop, with its myriad branches and businesses and partnership enterprises like John Lewis are considered efficient. But it is well known that one of the problems in the Soviet Union was the inefficiency of ministries, and I dare say that any huge organisation anywhere is likely to host a good deal of inefficiency, bureaucracy and jobsworth attitudes. One difference between an enterprise and a ministry is that the former can be run as a profitable concern, with all the profits being ploughed back into the enterprise in terms of investment into infrastructure, training, etc. Whereas a ministry is not run for profit, it is financed by the state and is only answerable to the state. So it could well be that a socialist enterprise to run the sugar industry in Cuba will be more efficient at doing that than a ministry. It will be interesting to see what progress is made over coming years. Many basic foodstuffs are provided by the state through a ration-card system similar to what Britain had during the Second World War. Rice, oil, coffee, meat, pork, chicken, beans, flour and some other items are sold at very low prices to each member of the family in the same amounts, irrespective of whether the individual is a baby or an adult. 80% of these rationed items have to be imported at present, which is obviously a heavy drain on the state economy. Yet there is no reason why these same foodstuffs cannot be grown and produced in Cuba – just as pork is, of which there is an abundance. “We want to move towards subsidising people rather than subsidising products,” Ms Pita Montes explained. “At present a high-earner pays the same for these products as someone on a low wage, which isn’t really fair.” But the Government was moving very cautiously on this one, she added, as to cut rations to above-average earners overnight would cause too many problems for people. For the time being, rationing will continue. On the one hand, one can feel impressed by the somewhat leisurely pace at which work appears to be going on. Tobacco workers at a factory in Pinar del Rio told us, for instance, that they each had a quota of 100 per day to make, from the original leaf to finished rolled cigar, but the pace looked fairly leisurely and the workers were chatting and laughing as they worked. Or another occasion in Havana, when we stopped to chat with a flour depot worker who was having a break, seated on a low wall against the pavement we were walking along. We got talking to him, he soon told us that wages were not enough to be able to buy what he wanted in cucs,a discussion ensued and we must have talked for a good 20 minutes before the foreman came up and told him to get back to work. I couldn’t help but think that such a long break would not have been permitted in most workplaces in Britain. That worker’s relaxed, unhurried and unworried attitude may seem a good thing to many of us, from the humanitarian point of view, but we have to admit that it is probably less good from the point of view of efficiency and productivity. This raises the question, however: what is a socialist society for, if not to provide a comfortable and enjoyable life for all citizens? Should workers have to work at breakneck speed in order to make a living wage? Most workers would say no, that working conditions should be pleasant and reasonable. The problem is that Cuba, with its socialist system, is still an underdeveloped country, and although the national income is much more equitably distributed among the population than in any capitalist country, it has to be able to afford the health and social care, the education, sports and cultural facilities it provides the population. “We want to continue with the benefits we have already achieved,” Mr Manuel Montero, of the Cuban Workers Confederation (CTC) told us. “And we’re opening up the non-state sector so as to increase production.” The current changes would mean more services could be provided, he explained. There had been a positive response by redundant workers towards working in the self-employed sector, he claimed, and these workers were unionised according to sector, just as state-employed workers are. But there had been complaints about incorrect procedures in the redundancy processes, Mr Montero admitted, though no strikes. Most Cuban people perceive the existence of a dual currency as unfair and corrosive. Whilst at least Cubans are spared the indignity of separate hard currency shops as existed in the USSR, where one could not enter unless one had hard currency, nevertheless many sought-after goods which have to be imported are only available if paid for in cucs, when 1 cuc is equivalent to 25 Cuban pesos. Since wages are anything from 250 to 450 pesos per month, one can see that a pair of trainers costing 50 cucs are pretty expensive. Cubans can trade their pesos for cucs and the flour depot worker I mentioned earlier told us that he pays 100 pesos (4 cucs) monthly towards buying his own flat, out of his monthly wage of 300 pesos. Clearly the dual currency is a measure forced on the Cuban Government by the economic isolation as a result of the US blockade. This blockade prevents Cuba importing goods at cheaper rates, it sabotages food import deals with other countries - when the US steps in and offers that third country more for the goods than the price already agreed with Cuba; it prevents Cuba importing advanced medicines only available in the US; it prevents Cuba selling on the open market its own new home-developed cancer drugs on the basis of scorpion poison, which have proved effective in trials for certain types of cancer. The blockade prevents US tourists from visiting Cuba and it punishes banks and firms in other countries but which have branches in the US if they try to do business with Cuba. The blockade continues mercilessly, despite the fact that in the United Nations General Assembly, 186 countries once again in 2011 called for an end to the blockade, with only the US and Israel voting against and 3 abstentions from the tiny island states of Micronesia, the Marshall Islands and Palau. The blockade is not merely an expression of US disapproval of the Cuban system, it is an act of war against Cuba, intended to stifle the Revolution, prevent the country’s development and thus cause dissatisfaction among Cuba’s citizens. Whether Cuba can survive this slow-burning aggression against her socialist system I leave for experts to predict. We know the might of the imperialist empire in imposing pliant regimes throughout the world, whether this is through military coups as in Chile in 1973 or more recently through outright war and invasion, as in Afghanistan, Iraq and now Libya. Much will depend on the extent to which the Cuban Communist Party remains close to the people and is able to interpret what the people want. The latest measures enacted by law last November (2011) allowing citizens to buy and sell their homes and cars suggest that the Party does respond to what today’s citizens want. Cubans are well-educated and have already achieved all the basics – good healthcare, social care, enough food and cheap, if still inadequate, housing. But it’s probably true to say that many Cubans, especially young people, want more consumer goods, cars and better housing. To any unbiased observer it is obvious that Cuba has achieved a great deal since 1959. People everywhere look well fed and well dressed, the children look healthy and happy and there is a sense of pride in their country. The lack of billboards and TV advertising is refreshing, and we saw very few political slogans or pictures of political leaders. Compared with other countries of Latin America and the Caribbean, Cuba is way ahead in terms of education, healthcare and other such indices. No ragged and scruffy child beggars haunt Havana’s streets and crime rates are low. But Cuban professionals, many of whom have worked for periods abroad as doctors, literacy teachers or sports trainers, do not compare themselves with the poor and destitute of those countries, but with professional people there – who often have a higher material standard of living than their Cuban counterparts. There are some positive and encouraging signs. Tourism is developing well, hotel and restaurant staff are pleasant and efficient, the food served is good, with a choice of salads, fruit and vegetables. They have set up schools running courses in hotel management, tourism, catering, foreign language guides, etc. We found all the different English-language guides our group had to be very good. All our meetings and tours were run very efficiently, with impressive punctuality. The Chinese air-conditioned coaches and buses we used were excellent and Havana now has many modern cars and buses plying the streets and avenues. Entertainment offered in restaurants was of a high professional standard. It is true that some professionals such as doctors, architects etc have moved into the tourism sector, where they can earn convertible currency. But if tourism is now the main income-earner for the country, it is not surprising that some of the country’s best brains should be employed in this sector. Cuba’s excellence in medicine is well-known, and this is also now a money-spinner for the country. Cuba has contracts with several other countries to provide doctors to operate health clinics and carry out operations, such as cataract ops. The Operación Milagro (Operation Miracle), for instance, has restored sight to hundreds of thousands of Latin Americans already. 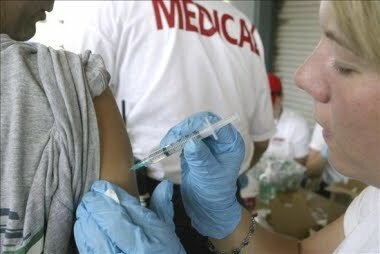 Cuban doctors work abroad for a few months, or a year, through such inter-governmental contracts, and Cuba benefits from the income this generates. Similar schemes exist for literacy teachers and increasingly for sports trainers. Old Havana is still very run-down, but UNESCO money and other grants have been found to start a big programme of city regeneration, and you can now see many restored buildings which look splendid. In fact, because of the fact that Cuba has not in the past had the money or materials to be able to knock down and build tower blocks as in so many parts of Europe, the old 18th and 19th century buildings have remained virtually as they were when first constructed. So if the city’s regeneration projects can embrace all those beautiful colonial-style buildings, Havana will undoubtedly end up as one of the most beautiful cities in the world. Last month, Unison Women’s conference adopted a motion citing Cuba as a role model for women in public roles. In the UK, only 22% of MPs in the House of Commons are women – but in Cuba women hold 43% of parliamentary seats in the National Assembly. Prior to the revolution, the proportion of women in the labour force was just 12%. According to figures from 2010, women now represent 47% of employees in the civil state sector; 67% of college graduates; 66% of technicians and professionals and over 70% of health workers. The Maternity Leave Bill (1974) which ensures that women are guaranteed a total of 18 weeks paid leave with an extra 2 weeks if the birth is delayed. The Bill also includes “the option of an extended leave at 60% of pay until the child is one year old, with the right to return to the same job at the end of the leave” – an option which can be taken by the mother or the father. The Family Code Bill (1975) which has as its official goal the equal participation of both sexes in the household. At the heart of the struggle for female representation has been the Federation of Cuban Women (FMC) which was formed in 1960. The FMC – a non-governmental organisation with over 3 million members – is the largest mass organisation in Cuba and the largest women’s organisation in Latin America. The FMC’s objectives include the “fight for full incorporation, participation and promotion of women into the economic, political, social and cultural life of the country in conditions of equal rights and opportunities”. Its membership equates to 80% of Cuba’s female population. Last year, Save the Children – in its annual Mother’s Index Report – ranked Cuba first out of the “Lesser Developed Countries” in both the mother’s index and the women’s index; and ninth in the children’s index. By comparison, the U.S. – which is in the “More Developed Countries” tier – ranks 31st in the mother’s index, 24th in the women’s index and 34th in the children’s index. Haydee Santamaria – Rebel Lives – Rebel Lives is the story of a female guerrilla leader whose passion for art and revolution inspired Latin America's cultural renaissance. Haydee was one of two women who participated in the armed attack that sparked the Cuban revolution and later became director of the literary institution, Casa de las Americas. Buy it here. Marianas in Combat – This is the story of Brigadier General Tete Puebla, the highest ranking woman in Cuba's Revolutionary Armed Forces, and charts her life from joining the revolution at the age of 15 to her fight to transform the social and economic status of women. Buy it here. Making a Scene: Cuban Women’s Stories – This bilingual collection of short stories is edited by Cuban writer and academic Mirta Yanez, and features a stunning range of narratives, from Aida Bahr’s "Not Quite Perfect/Imperfecciones" moving account of old age to Ana Luz García Calzada’s exceptional "The Guests/Los Convidados". This book offers a broad selection of themes, styles, and writing techniques as well as compelling storytelling. Buy it here. Reyita –The Life of a Black Cuban Woman in the Twentieth Century – Reyita is the amazing life story of a black Cuban woman who lived through racism and dictatorships, taught herself to read, took part in black politics, lost a son in the revolution and went on to have over one hundred grandchildren. Buy it here. The Maids of Havana – This compelling novel is based on stories and memories of poet and writer Pedro Perez Sarduy’s mother. Set in Cuba and the USA – from 1938 to the 1990s – two Afro-Cuban women tell their stories. The book explores what life was like for Afro-Cubans before and after the Cuban revolution. Race, class, gender and nation are all examined. Buy it here. Letters of Love & Hope – Introduced by Alice Walker – with preface by Cuban poet Nancy Morejón – this book includes excerpts from diaries and letters between the Miami Five and their families in Cuba. The collection provides rare insight into how ordinary families strive to maintain connections in extraordinary circumstances. The book also includes a succinct legal analysis of the case by attorney Leonard Weinglass outlining how it has significantly violated both international law and the U.S. Constitution. Buy it here. Women and the Cuban Revolution – This book recounts women's changing role in Cuba since the revolution: the measures taken, the gains made, and the problems that still remain. It includes speeches on the subject by Fidel Castro and women's federation leader Vilma Espin. Also contained are several important Cuban documents such as the Maternity Law for Working Women and and excerpts from the Cuban Family Code. Buy it here.